Andrew Tarusov has done it again! After releasing pin-up artworks with the princesses of Disney or the heroines of Game of Thrones, here comes another classic with the pin-up women of Star Wars. 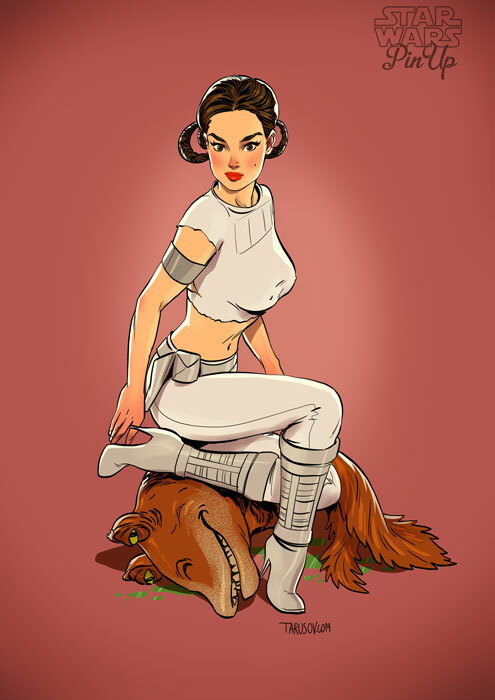 In the following collection we find Leia, Rey, a Stormptrooper or Darth Vader reimagined as pin-up artworks.